Copper has been used in roofing for centuries. It is a proven material and when installed correctly will last for a very long time. 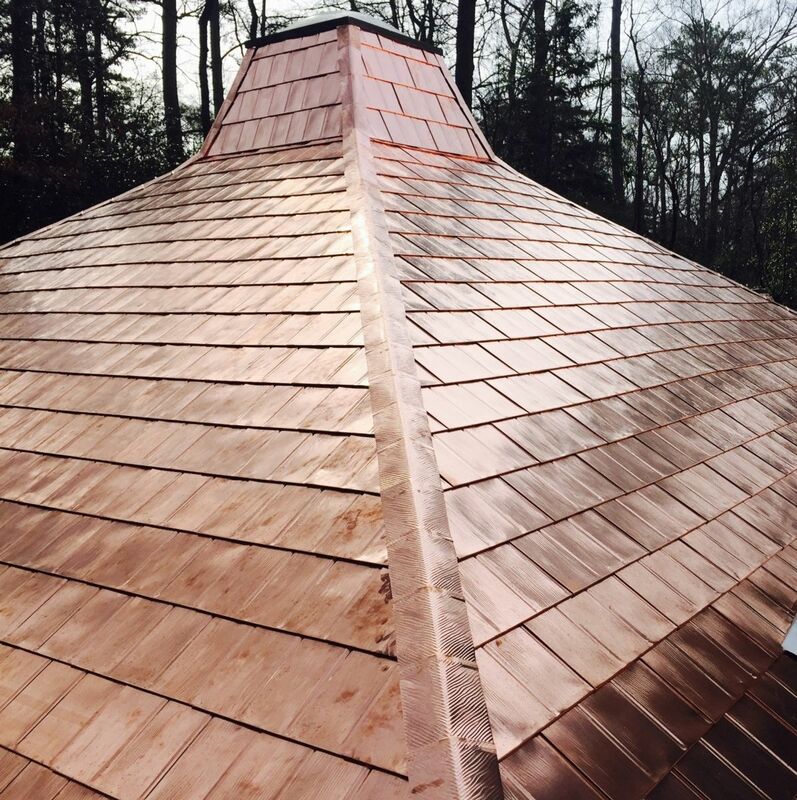 Schwartz Residential Roofing has been installing copper roofs and roof related copper flashings since our start in 1910. 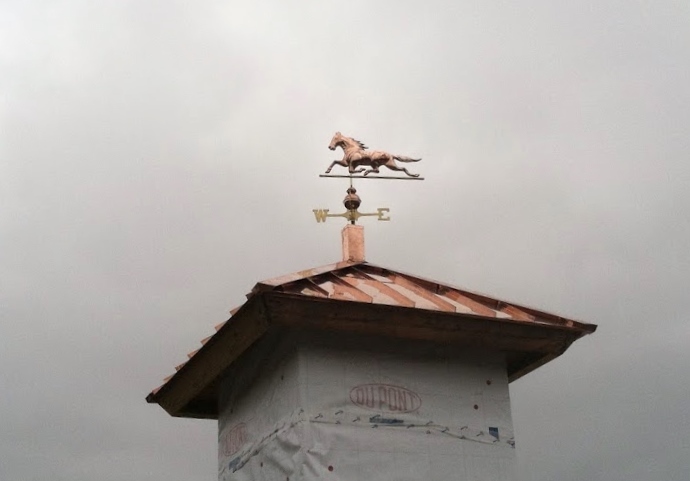 We have experience craftsmen that can install and fabricate any type of copper roof, copper awning, or copper chimney cap. 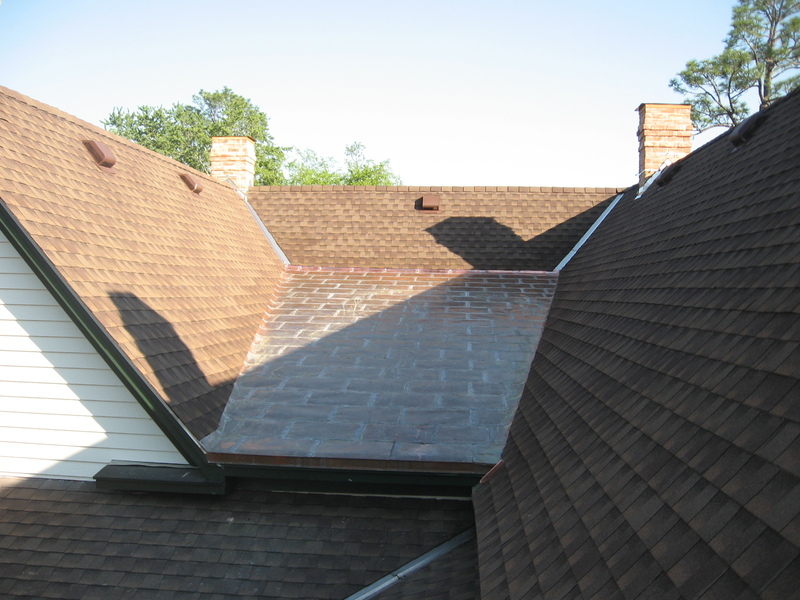 The most common areas on a home to find copper roofs are on dormers and water tables. Typically a copper standing seam roof is used in these areas. Flat lock copper roofs can be installed on low slope areas. Only a well trained experienced roofer can install a flat lock copper roof on a low slope without problems in the future. It is very time consuming and a great deal of patience is needed when installing flat lock copper panels. Copper shingles are also available. 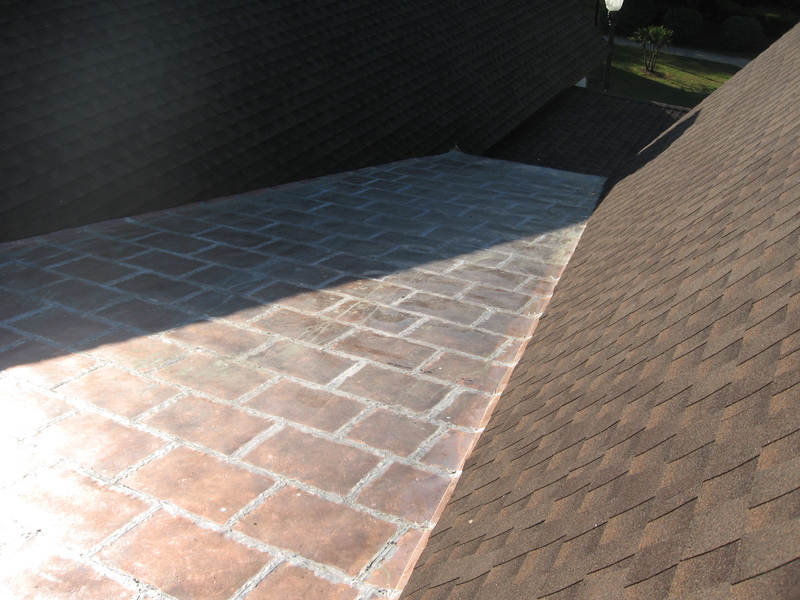 If you want a very unique looking roof that will last a very long time, copper shingles might be an option for you. Compared to other metal types, copper is the most expensive material. It is easy to work with and can be sodlered to make a watertight seam. Macon, GA, Warner Robins, GA, Forsyth, GA, Milledgeville, GA, Gray, GA, Sandersville, GA, Byron, GA, Perry, GA, Roberta, GA, Ft. Valley, GA, Cochran, GA, Jeffersonville, GA and all other surrounding areas.